A cannon and flag look out over the steep slope of Federal Hill Park in Baltimore, USA. An unusually warm day at the Inner Harbor, a historic seaport and commercial area in the city of Baltimore, USA. A man in black pauses in the streets of Baltimore, USA. 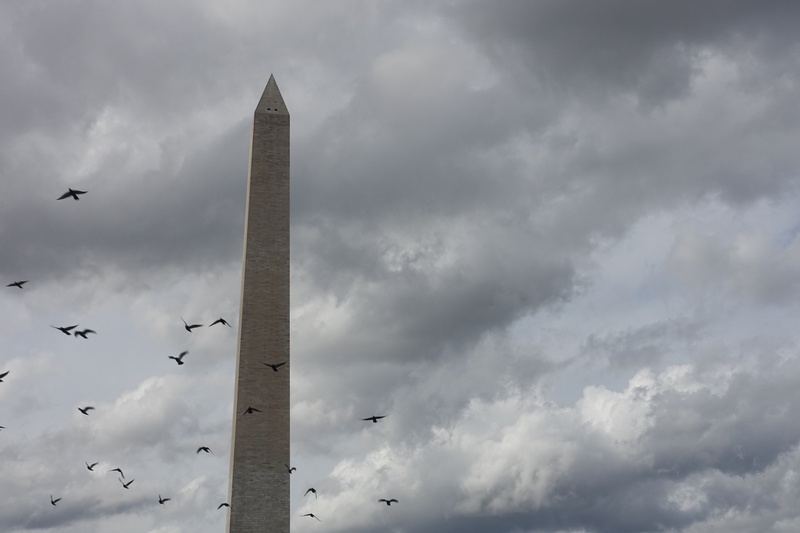 A flock of birds flies by Washington Monument in Washington DC, USA. 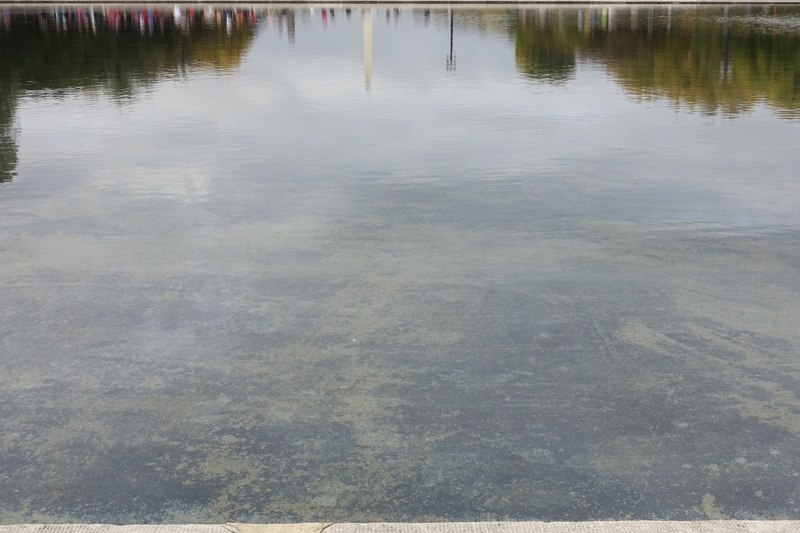 The Capitol Reflecting Pool by the Capitol Building on the east end of the National Mall in Washington DC, USA. 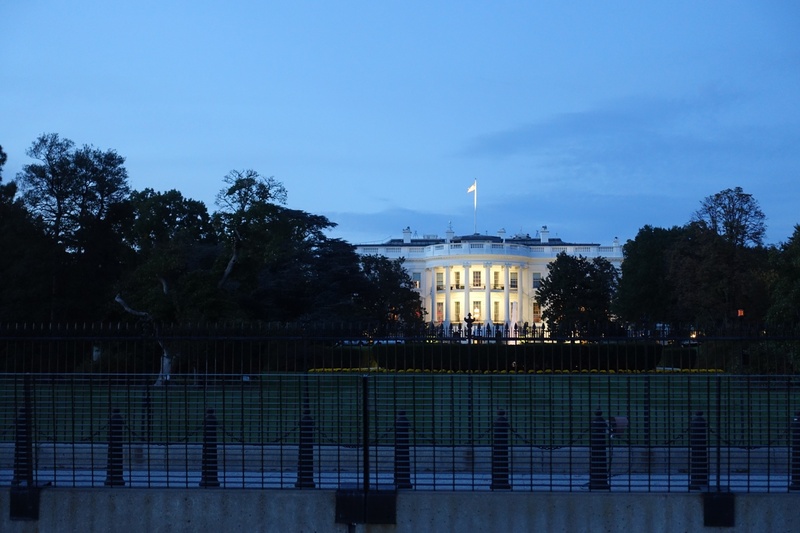 The White House sits behind fences and barricades in Washington DC, USA. 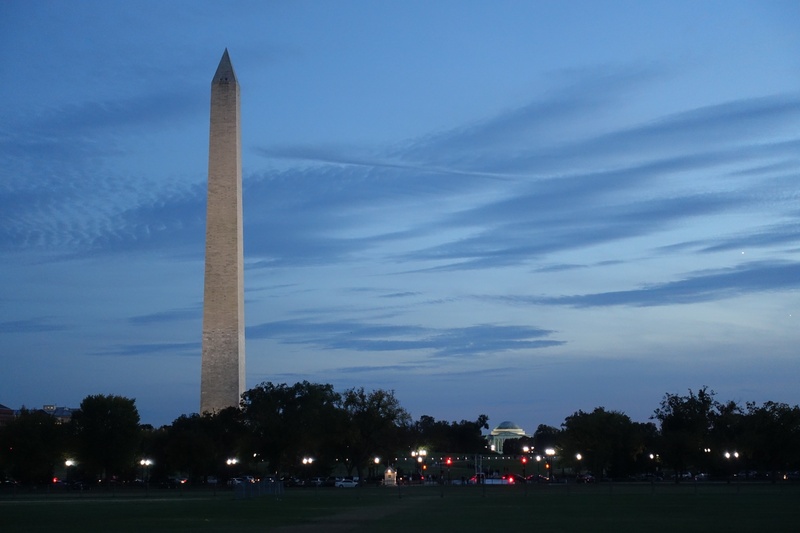 The Washington Monument at dusk with the Capitol Building in the background, in Washington DC, USA.